Who Thought Airing Gotham And Supergirl During The Same Timeslot Was A Good Idea? CBS is a bit late to the party, but next season the network has plans to get into the superhero game with Supergirl, a series that stands out from the pack because it focuses on a female heroine. CBS is so confident in the upcoming drama, in fact, that the network plans to air its DC series directly opposite Fox’s already-successful DC series Gotham on Monday nights. Apparently, Chief Scheduler Kelly Kahl is standing by the decision to air Supergirl at 8 p.m. on Monday nights. Here’s what the executive had to say at the network's upfronts presentation today. I think it's wrong to think that if there's another genre show in that time slot, that we can't succeed. Here’s what’s happening. Next fall, CBS plans to air The Big Bang Theory and new series Life in Piece on Mondays at 8 p.m. ET while the network is still airing Thursday night football. However, as soon as that is over, The Big Bang Theory, etc. will shift to Thursday nights and Supergirl will slide into the Monday at 8 p.m. ET slot—the very same time that Fox already has Gotham scheduled. It is possible for two superheroes shows to both find audiences on the same night. DC’s The Flash and Marvel’s Agents of S.H.I.E.L.D. both air on Tuesday nights. However, there are two reasons the Gotham and Supergirl Monday night lineup is more of a problem. First, The Flash and S.H.I.E.L.D. don’t directly compete in the timeslot. Instead, on Tuesday nights, The Flash airs at 8 p.m. ET and Agents of S.H.I.E.L.D. follows at 9 p.m. ET. So, theoretically fans could tune in for one and then directly hop channels to watch the other. Second, The Flash and S.H.I.E.L.D. come from competing companies, and don’t necessarily have a ton of crossover between audiences. Gotham and Supergirl, on the other hand, are sharing the exact same timeslot, which is a much trickier proposition should fans want to tune in for both programs. The CBS team did brush off these concerns according to THR, who notes that CBS wants to focus on the fact that Supergirl will hopefully skew young. It’s true that Supergirl and Gotham are very different properties, but they are also both DC properties, and should thusly at least appeal to some of the same people. There's always DVR and other outlets, but that doesn't help CBS to make money. I get why CBS would want Supergirl to kick off the night at 8 p.m. ET. 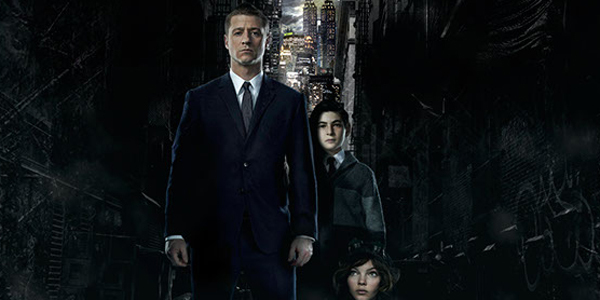 However, Gotham had the timeslot, first, and it’s remarkable that the network wouldn’t be the least bit concerned about sharing the timeslot with another comic-based series. Maybe the bid will pay off and Supergirl will manage to be a great success. Buzz regarding the female-led drama hasn’t always been the highest as it has moved forward to pilot and then series, although a lot of people seem to be favorable regarding the costume, at least. Regardless, it looks as if there will be a battle in the ratings next fall, and I can't imagine it's one DC Comics will be too happy about. After all, something tells me those executives were hoping these shows would do battle against the competition, not each other.